Hello and welcome to the first ever blog post for the Digital Photography class! Today I’m going to share some info on photographing the upcoming solar eclipse on Monday, Aug. 21, and share an update on the new Community Education section of CS125dp, the Digital Photography Class. 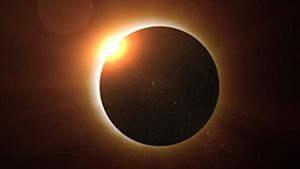 There is a lot of buzz and preparation for the total solar eclipse that will be starting around 10:15 a.m. (on the northern Oregon coast which is in the path of best viewing of the totality) Aug. 21, 2017. If there are any artists reading this, you will have to get up early. We are not in the best path in Grants Pass and Medford, but if you are planning to take pix, take precautions and do a little research. You will need solar glasses to protect your eyes and a solar filter to protect your camera sensor. This is a solar event so you need to be careful of both your eyes and your camera’s sensor. Do a Google search for each item. One place to find things is B&H Photo’s website. You also will need a long lens (telephoto, 200mm+) and a tripod. That can be costly, so if you are making pix with shorter focal length lenses, be sure to include some context for reference. Here are some links for your information: a general article as well as tips from Nikon, Canon and Digital Photography School. 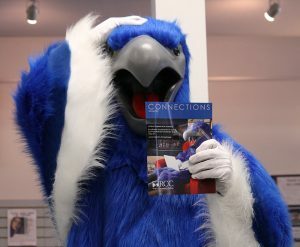 For your info, there is now a Community Education section of the RCC digital photography class. It meets along with credit learners and is a means to be introduced to Digital Photo and participate in a class without having to be enrolled in a degree program. The main difference is that CE students do not get a grade, and are not required to complete a workbook. Description: The course covers the use of a digital camera and fundamentals of digital photography. Bring your own digital camera and instruction manual. Topics include digital camera operation; how to make a good exposure; image composition; digital processing using Adobe Photoshop and more. You’ll learn how to manually operate your camera and take control of aperture settings, shutter speeds, white balance and ISO controls. Prerequisites: Students must have previous experience with computers and be able to save and retrieve files. The ability to use a thumb drive or cloud storage is recommended. Experience using Photoshop or other image processing programs is a plus. Students without the necessary skills may be asked to withdraw from the course. Estimated cost of textbooks: $44. Consists of 9 sessions (no class on Nov. 10 and Nov. 24) each of which runs 9 a.m. to 3:50 p.m. with a lunch break from noon to 1 p.m. All registration for this class is by phone. For more information and to register, call 541-956-7303. For those of you who have already taken the class, please be in touch and send pictures! If you know someone who would like to take the class, please refer them. Eclipse photo courtesy of NASA.